After a long winter, spring is just about here! 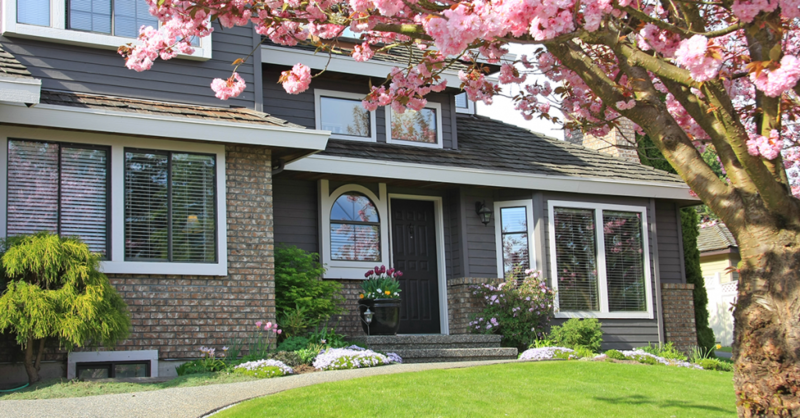 Taking steps to maintain your home or commercial property after the harsh winter months is key to protecting your asset long-term. Here are 5 tips to help welcome the new season. Clear any leaves, sticks or other debris that accumulated during the winter to make sure your gutters and downspouts are ready to take on those April showers. Clean siding with a pressure washer to keep mold from growing. Check all wood surfaces for weathering and paint failure. Make sure your home’s siding and trim aren’t damaged from windy, icy conditions. Check your roof surface flashing, eaves, and soffits. Perform a thorough cleaning. Make sure the shingles are not curling or clawing. If they are, they may be susceptible to leaks and should be replaced. Inspect all decks, patios, porches, stairs, and railings for loose members and deterioration. Open decks and wood fences need to be treated every 4-6 years, depending on how much exposure they get to sun and rain. Take a walk around your property and look for damaged or rotting trees. Take appropriate steps to remove any damaged trees that could come down during a storm and cause damage.